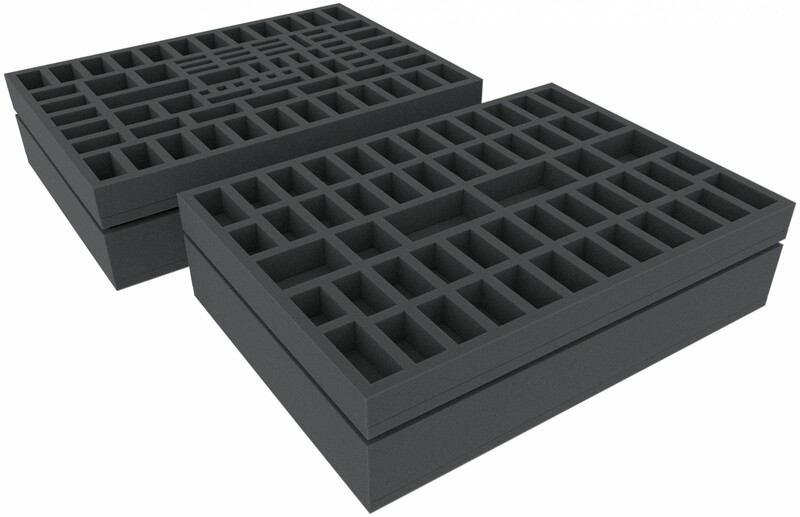 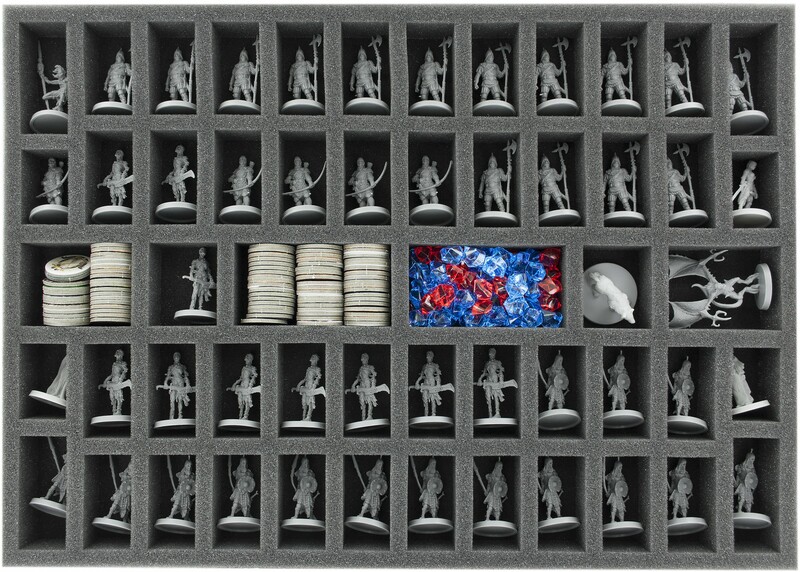 Specially designed foam trays for the Conan Kickstarter Barbarian or King Pledge. 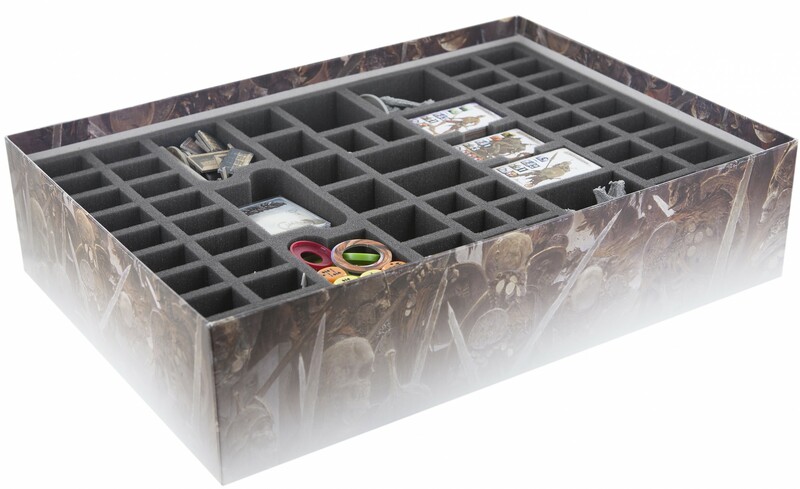 Two inserts fit into the original Conan and the Stretch Goal box. 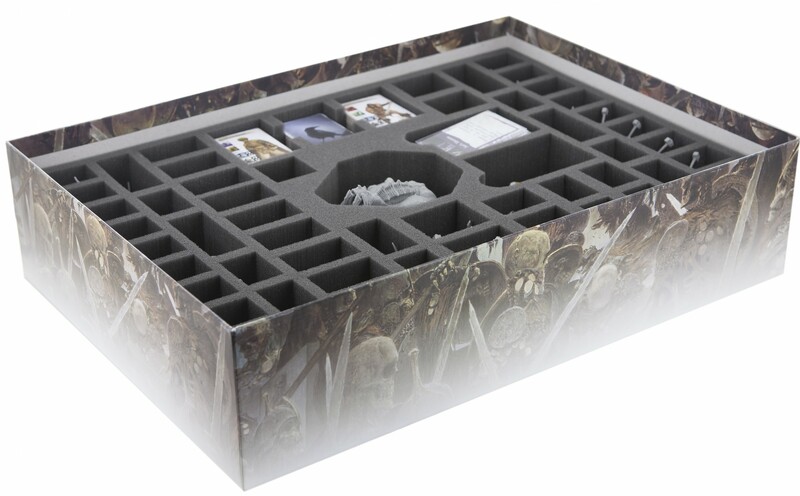 The foam trays provides a great solution for protecting all figures, cards in sleeves and tokens from the King Pledge. 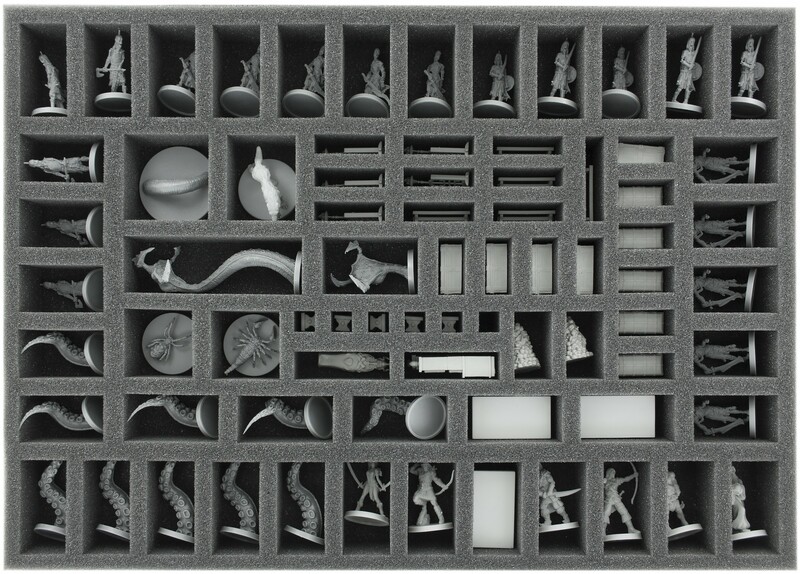 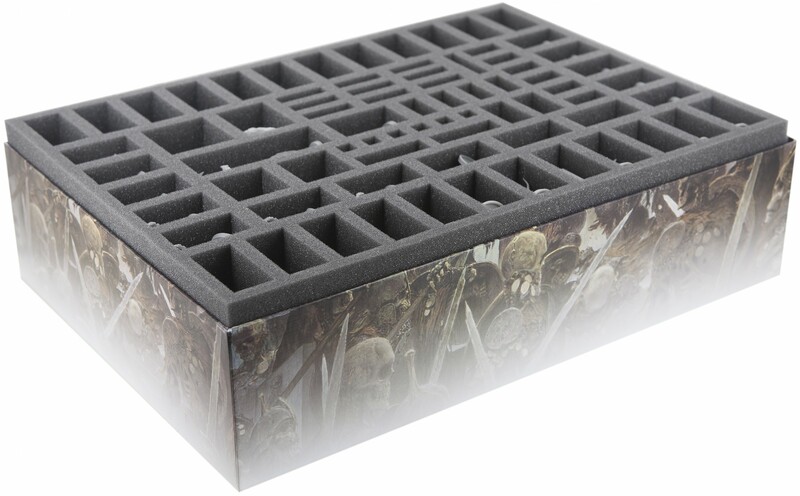 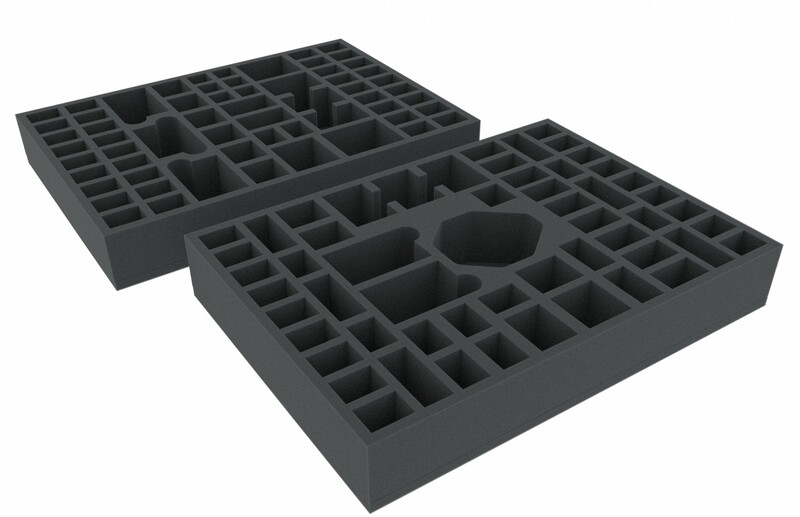 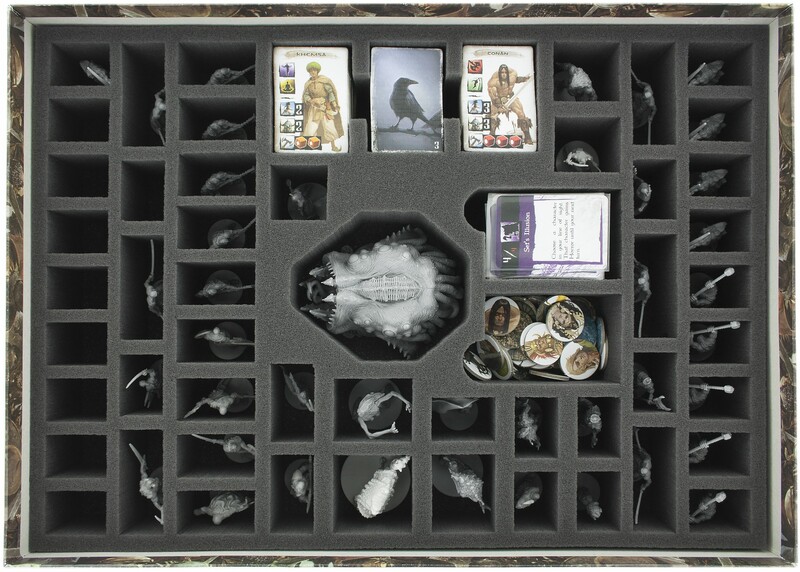 In addition, 6 compartments remain free for further miniatures, so for example the miniatures from the Black Dragons easily fit into the foam trays. 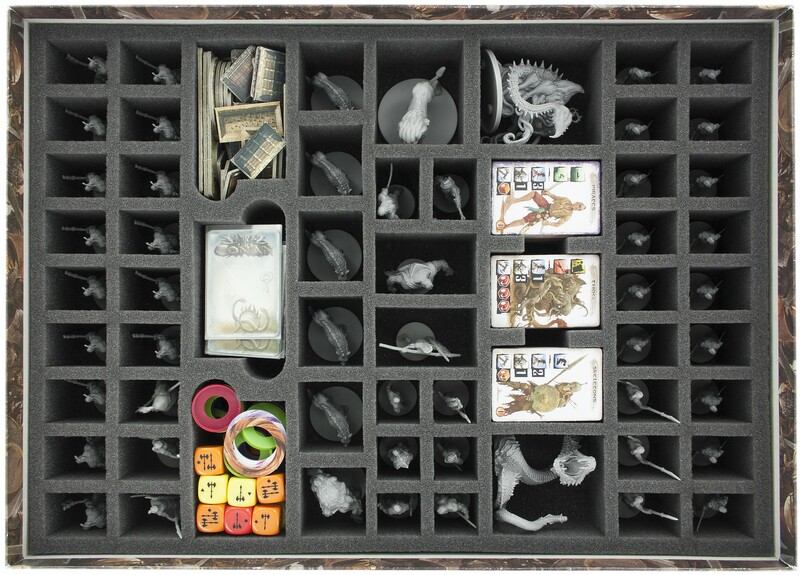 For the Kickstarter "EXCLUSIVE ADD-ONS", we recommend AYGG040BO. 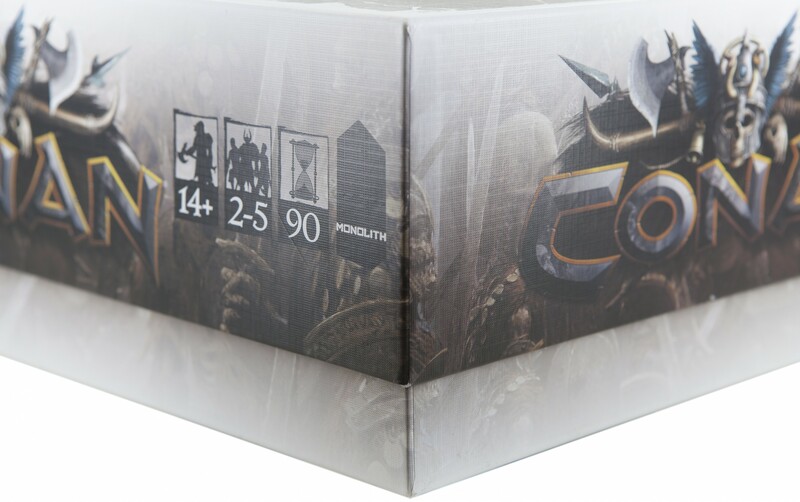 Foam extends slightly over the edge of the board game boxes.